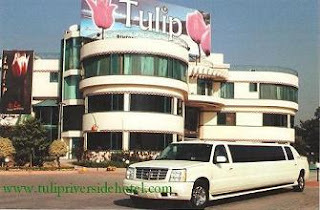 Tulip Riverside Hotel was built in 2003 in Sarai Alamgir District Gujrat. But it is very near to Jhelum, just at a distance of few kilometers. Tulip Hotel is ideally located at Jhelum River Bridge. It is a best place for tourists and other foreigners to visit and reside in. For more, visit official website of Tulip Riverside Hotel Gujrat. Here is a very good video documentary about Tulip Hotel Jhelum. Wow, Looks to be a really nice hotel in Gujrat. I will check this hotel out, next time I will visit today. Happy to see such a nice hotel in Gujrat. hi..Hey great site and I enjoyed it! 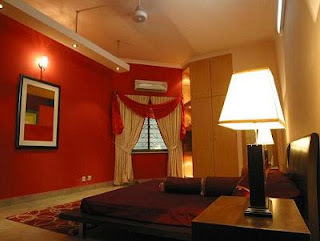 very beautiful hotels in Gujrat. Pictures shows great view of them. its the worst hotel i had ever known.i had my vacation there at the end of june 2012,i came from hong kong and first time went to pakistan.i was so disappointed on this hotel,someone brokeinto our room when we were inside,and we called to reception asking whats going on,i was so scared that time,and those staff kept us waititng for 3-4 hours,finally the manager came and had a look of the situation,he just said he was very sorry for this,and did nothing,i couldnt believe we would get such response,this really spoiled my trip,when my friends asked me about this trip,i really felt shame to tell them my experience,its a damn bad place!!! amazingly you came first time to Pakistan and you ended up in this highway hotel in middle of nowhere near the major cities. Normally people stay during their road trips and not as main stay as they are good stop over. So its little bit harsh on this hotel itself. Its not a five star but an average hotel with decent service. So you should not expect so much out of, they broke in to your hotel for service? or mis understanding? or they tried to rob you? no one take vacations at this hotel, what is there to see?